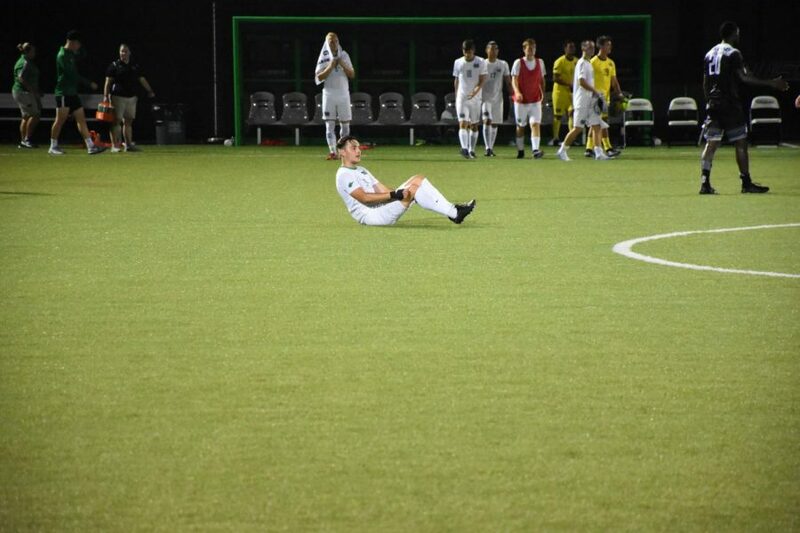 Freshman forward Gianni Bouzoukis sits on the pitch after Marshall’s late-game loss to Oakland. 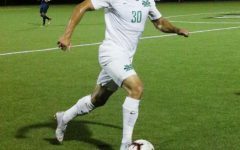 Bouzoukis, one of the 12 freshmen on the Herd’s roster, is the only freshman to record a goal so far this season after his goal against Oakland. 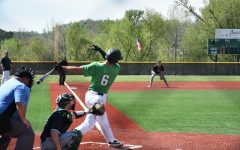 Marshall men’s soccer endured a 3-2 loss Monday night at Hoops Family Field, as two second half goals weren’t enough to top the Oakland Grizzlies. 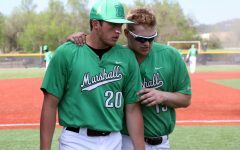 With the loss, Marshall moved to a win-loss record of 1-1-0 while Oakland improved to 1-0-1. After a scoreless first half, both teams combined for five goals in the second. 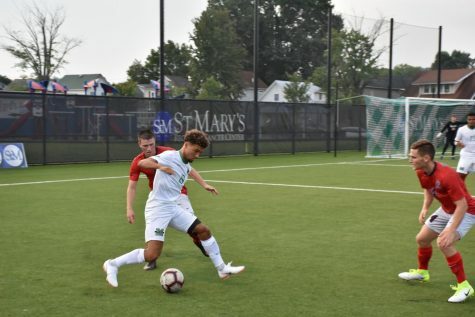 The scoring commenced in the 53rd minute as Marshall sophomore forward JP Rylah deflected a touch pass from the 6-yard box into the back of the net. Sophomore forward Jamil Roberts and junior midfielder Jonas Westmeyer were each credited with an assist. Within seconds of Rylah’s goal, though, Oakland equalized the match with a goal by freshman forward Dawsun Schrum, who scored off of a cross into the box. 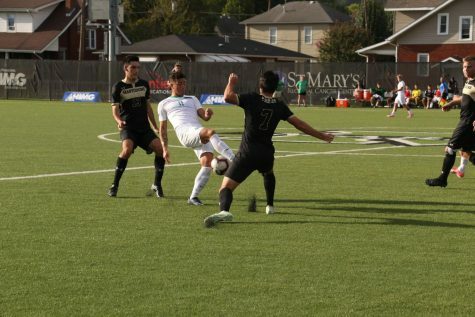 Oakland subsequently took a 2-1 lead in the 69th minute after a goal from redshirt freshman defender Napoleon Outlaw III, who came on as a substitute in the 56th minute. 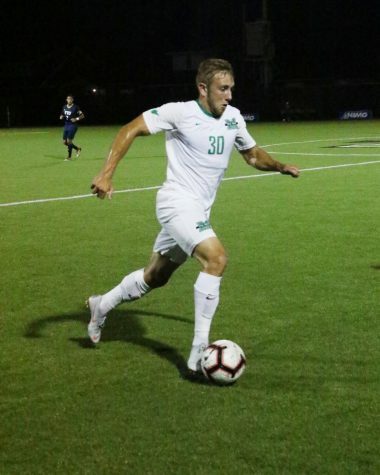 In the 79th minute, Marshall freshman forward Gianni Bouzoukis scored his first goal of the season to tie the game 2-2. Bouzoukis’ goal was a rebounded volley from outside the18-yard box. The tie was short-lived, though, as the Grizzlies took a 3-2 lead with a goal from senior midfielder Jacob Moore. Marshall took 12 total shots (nine on goal), while Oakland took 10 shots (seven on goal). Despite out-shooting the Grizzlies, the Herd was flagged for six offsides calls compared to one call against Oakland. 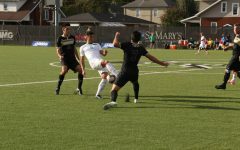 Additionally, Marshall committed15 fouls, as opposed to Oakland’s six, and six Herd players were shown a yellow card. Grassie said heat and exhaustion may have contributed to the lack of focus. 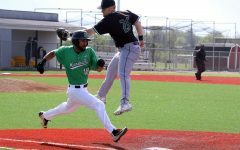 The Herd was not able to equalize in the final eight minutes, as Oakland pulled out the 3-2 victory. Oakland redshirt sophomore goalkeeper Sullivan Lauderdale had seven saves, which aided Oakland’s winning effort. Grassie is focusing on what’s next for the Herd. The Herd’s next match will be Friday at 5 p.m. against Ohio State at the Dayton Classic in Dayton, Ohio.